Don’t look back at your life, where you are today is what you were and not who you are and can become. People who you thought you can count on, you ended up counting out. If you keep looking at your life in the rear view mirror, you will never move forward and become the person you were meant to be. You were born into the world for a purpose, not just to pay the bills and survive. 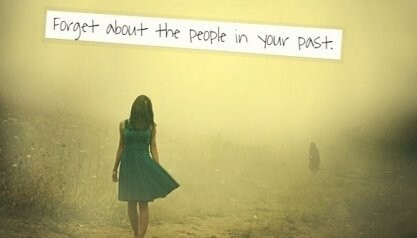 Leave the people you left behind, behind, they are there for a reason. Do the things in your life that create you joy, the happier you become, the quicker you will reach your goals and dreams in life.